Written by Dezza, 7 March 2018. 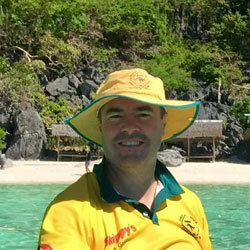 I am always on the lookout for unique Philippines destinations in which to visit. Places that not many people have heard of, especially the locals, is very appealing to me. This means that the place is most likely to be naturally preserved and free from crowds of tourists. This leads to a more enjoyable experience. On my quest to find some places to visit that fit this category I stumble across a waterfall in Laguna called Matabungka Falls. This was in the town of Paete. I wasn’t able to find too many photos of these waterfalls and as a matter of fact, there wasn’t a lot of information available about this particular area from what I could see. This indicated to me that this could be the most unique place to visit in Laguna Philippines. After some further reading, I also discovered that there was an area near the waterfalls by the name of Tatlong Krus (translates to Three Crosses). I read that this was a religious pilgrimage site on top of Mt. Humarap which offered some amazing views of Laguna Bay. I then found out that it was possible to reach both places as they were within a short distance of each other. This sounded like a unique opportunity in which to visit a couple of places in the one go. This immediately stood out as a great opportunity for a Deztiki Tour and possibly one of the best places in the Philippines. So after organizing 13 of my friends, we took a van down to Paete one fine Sunday morning. I wasn’t totally sure what to expect as the information that I read on the internet wasn’t totally clear. However, I was fairly confident that we would have an enjoyable day with some amazing views and a fantastic waterfall. What we ended up discovering was much more than this and it turned out to be one of the best treks I have done in the Philippines. It just goes to show what hidden gems are out there if you’re prepared to take make an effort. Using the driving application Waze we were able to find the entrance/drop off point to Tatlong Krus without too much difficulty. There is a sign showing you the start of the trail to the lookout area at Tatlong Krus. However, it is very difficult to read as it is very rusty and faded out. Waze was pretty accurate so if you follow that you should be ok. However, it doesn’t hurt to stop and ask someone locals if you’re not sure. This is the sign for Tatlong Krus. Not the most readable sign you will see so you really need to keep your eyes open for it. From there the lookout area is only about 15 to 20-minute walk. It is a trial that is very well worn and not too difficult. 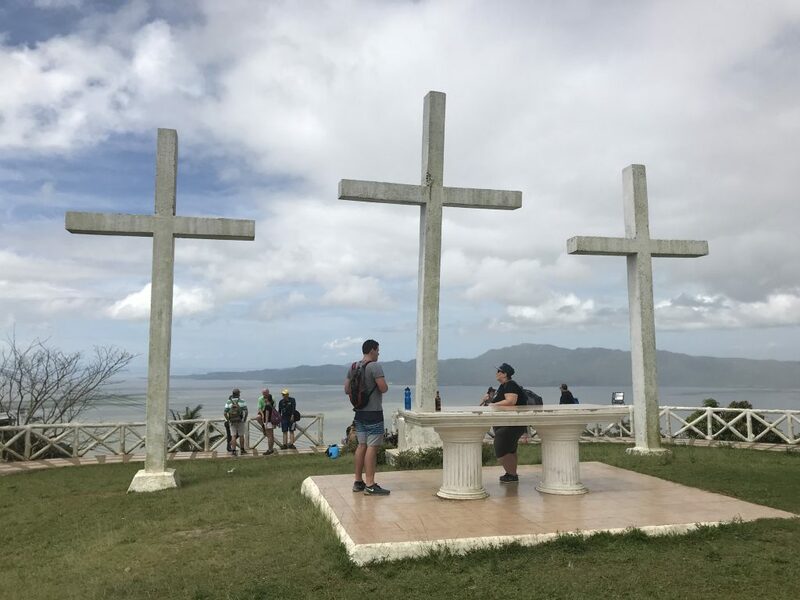 Once you reach the lookout area you will see the three big crosses with Laguna Bay as the backdrop. When you look down to the bay you can see the small town of Paete that resembles a small peninsula. This is a great lookout point of Laguna Bay which I haven’t seen before. There are some little picnic huts nearby if you wish to chill out for a while and have a picnic lunch. Other than that there isn’t really too much to see aside from the lookout over Laguna Bay and of course, the crosses. Tatlong Krus and the epic view across Laguna Bay. This is a highly regarded pilgrimage site. Then from there, you have the trek down to Matabungka Falls. Compared to some of the other hiking trails I have been on, the trail for this hike is pretty easy in that it is paved the whole way from Tatlong Krus. The trail is also downhill all the way to the waterfall. However, there is a fair bit of moss and clay on the trail which makes it pretty slippery. So extra care needs to be taken with your footing. 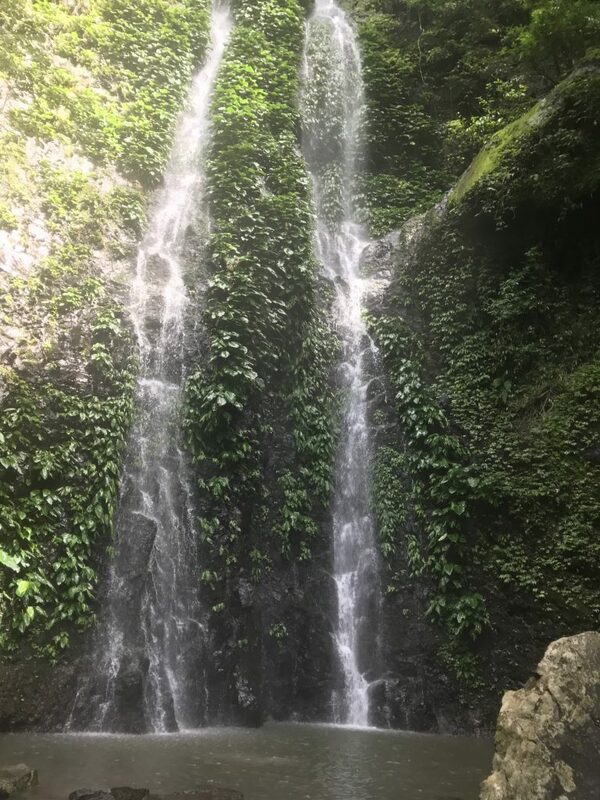 The trek down to the basin of the waterfall is approximately 30-40 minutes and is approximately one-third of the way down the mountain from Tatlong Krus. There is one water crossing which is the actual top of the waterfall and is pretty spectacular. The waterfalls themselves are actually twin waterfalls and are about 30 to 40 meters high. They are cascading style of waterfall with the water gracefully running down the face of the rock. Although there were several groups of people making their way back up the trail as we descended, we were the only group of people at the waterfall aside from a couple of other people. The basin allows you to go right up underneath the waterfalls and have the water crashing down on you. However, there are some fairly large rocks and boulders in the basin in which you need to be careful off if you are planning to swim or enter the water. If you have aqua shoes, I would recommend wearing them. Matabungka Falls is an elegant waterfall and very loud as the crashing water echoes off the surrounding rock walls. One thing to be aware of, when you get near the main waterfalls, just after the river crossing, you hit a clear T-intersection on the trail. Here you will see a toilet block and a small concrete hut. There is no signage though. At this point make sure that you turn left to go down to the waterfall. Otherwise, if you turn right, the trail continues down to Paete. A couple of guys from our group learned the hard way by turning right instead of left. 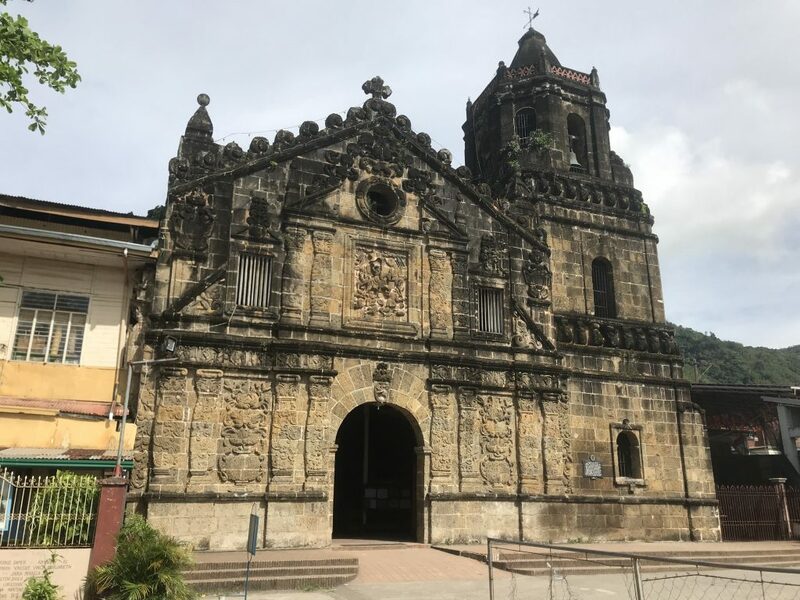 However, this was a blessing in disguise as we found out that the trail continues right down to the town centre in Paete. 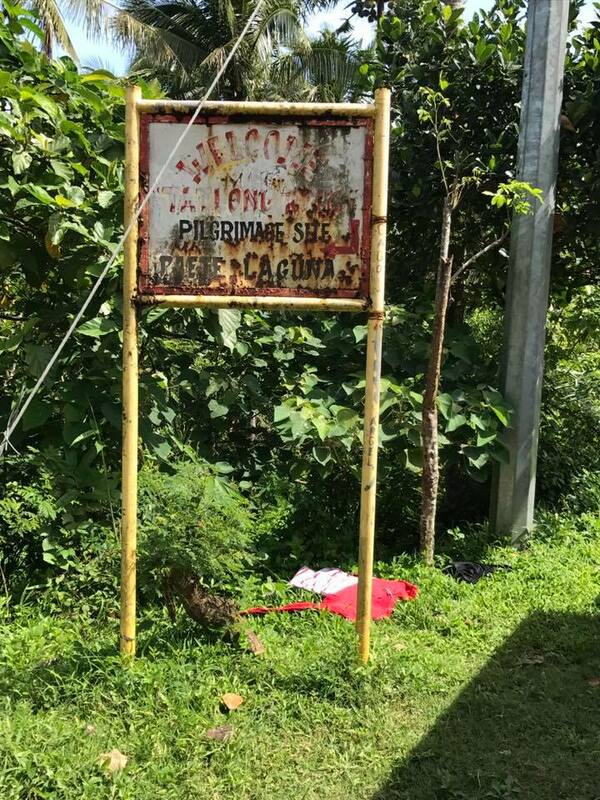 This meant that on the way back we simply continued down the trail and all the way to the town of Paete. The beauty of this was that we didn’t have to hike back up to our vehicle which was parked back up on top of the hill at Tatlong Krus. This turned out to be a fantastic option as it took us through the back streets of some local barangays. 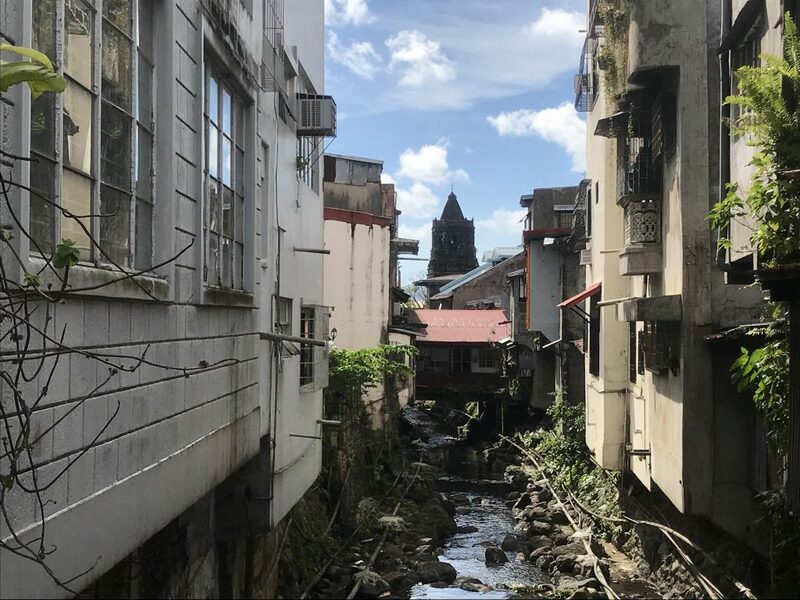 This really gave us an insight into the people and the town of Paete. This is a sleepy little area with children playing in the street, street vendors selling vegetables, and people sitting around watching life go by. As we got closer to the centre of town there were a number of souvenir shops selling wooden carvings and other artefacts (the Tagalog word for chisel is paete). This area is renowned for its expert wood carvings. There are also a number of small canals running through the town lined with pastel-coloured buildings which very much reminded me of being somewhere in Europe. These little streets with their canals certainly had a European feel about them reminding me of Amsterdam and Venice. When we reached the town plaza we were greeted with a grand old church that dates back to 1646. When taking a look inside we were given a ten-minute tour and discovered that there are a number of religious artefacts in here, some of which dated back 500 years. There were a number of sculptures that were in a particular sequence that told the story of Christ’s life. Although I’m not religious, I certainly appreciated the sculpturing and decorations within this church. We later found out that this town was established by Spanish friars way back 1580. This really was mind-boggling. To get here is only about a one hour walk from Matabungka Falls. We were not expecting to stumble across St James church which dates back to 1646. Some of the sculptures and artefacts inside were amazing. From there we were able to contact our driver to come and collect us and save us the hassle of taking a walk back up the mountain. This is certainly the way that I would recommend for you to take this adventure. Basically, you drive your car up to Tatlong Krus, then trek down to the waterfall. Here you can spend an hour or so having a swim and some lunch while relaxing. After that, you can then continue down the trail into the centre of Paete. The other added bonus is there is no entrance fees or anything for this trek. It’s also not compulsory to use a guide. It’s actually easy enough to do without a guide. If you started the trek earlier in the day, you would make it to Paete in time for a nice relaxing lunch. If you did this, it will cap off what I consider to be the most unique place to visit in Laguna Philippines. Please click below to watch my vlog of this epic day trip from Manila. You will get to see all of the beautiful things that make this place one of the best day trips near Manila. Matabungka Falls is easy enough to find using Waze or Google Maps. The drive there takes about three hours and is just over 100kms from Manila going via Calamba, Laguna. Make sure you bring a picnic lunch and a towel, swimmers, and a change of shorts/shirts. Please check out my related articles below. Also, don’t forget to like and share this article with friends and family or leave your comments below.